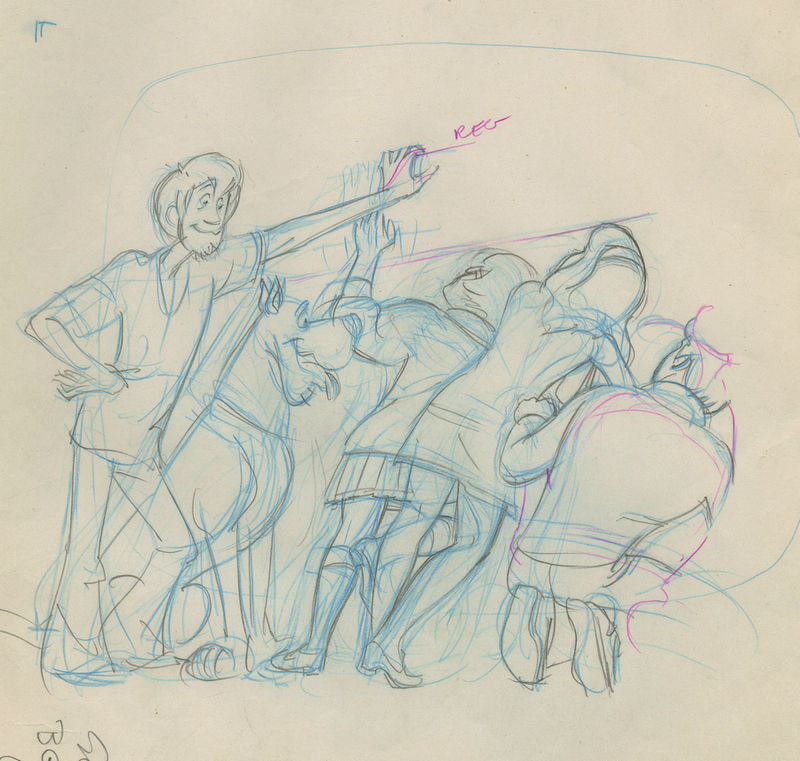 This is an original layout drawing from the Hanna Barbera Studios production of The New Scooby Doo Movies (1972). 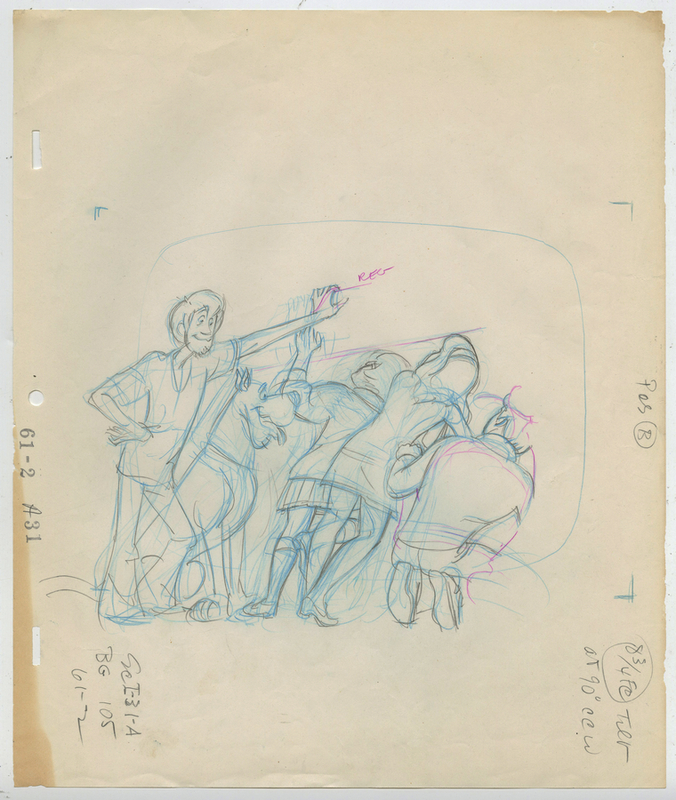 This drawing features the whole gang and was created at the studio and used during the production of an episode in the series. The overall measurements of the piece are 10.5" x 12.5" and the image itself measures 5.5" x 7". The drawing is in fair condition with a bit of wear and discoloration to the edges, but the image is untouched.